Most people in Australia will spend more waking hours in the office than in any other room. 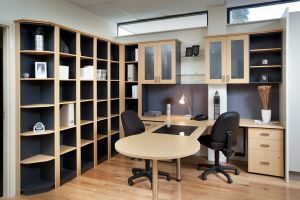 Getting the office space right is critical to productivity and business success. Your office also presents you and your business to the world. Therefore, it needs to be both functional and beautiful – supporting your business and your brand. 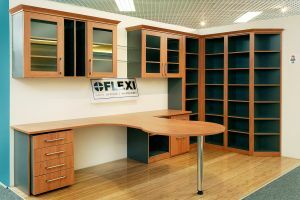 At Flexi in Perth we have been designing, building and installing beautifully functional custom offices in Australia since the turn of the century. We take the time to really listen to our customers. That’s why we are able to combine all of your wishes with our extensive knowledge of functionality and ergonomics to create a custom office that is truly one of a kind. Call us today for more information or to arrange your free consultation. Let our team bring your custom design to life. 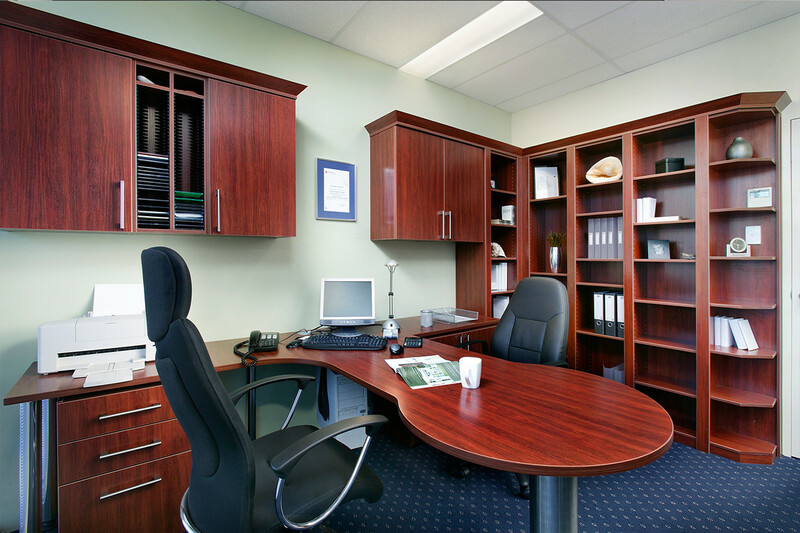 Our professional team has more than 60 years combined experience in designing custom offices in Australia. 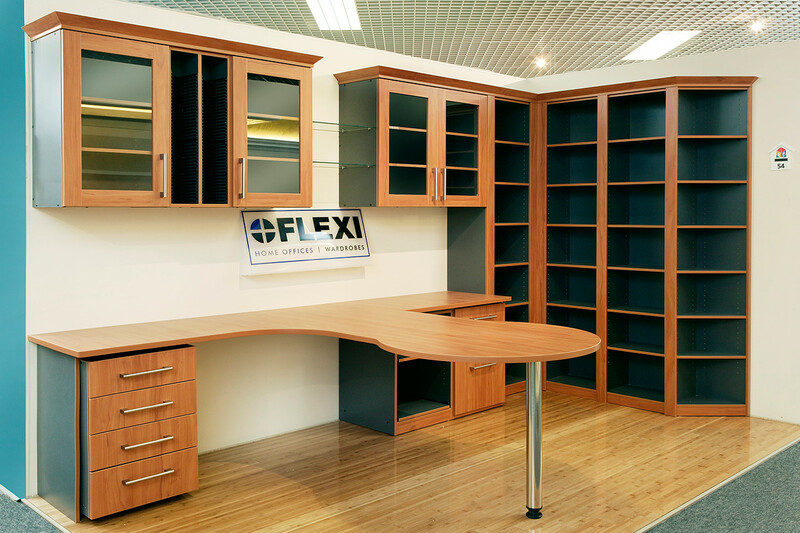 Call us on (08) 9301 4200 and find out why our customers keep coming back to Flexi. Do you need an office for a home business? Or do you want to install a beautifully functional corporate office in the city or surrounds? 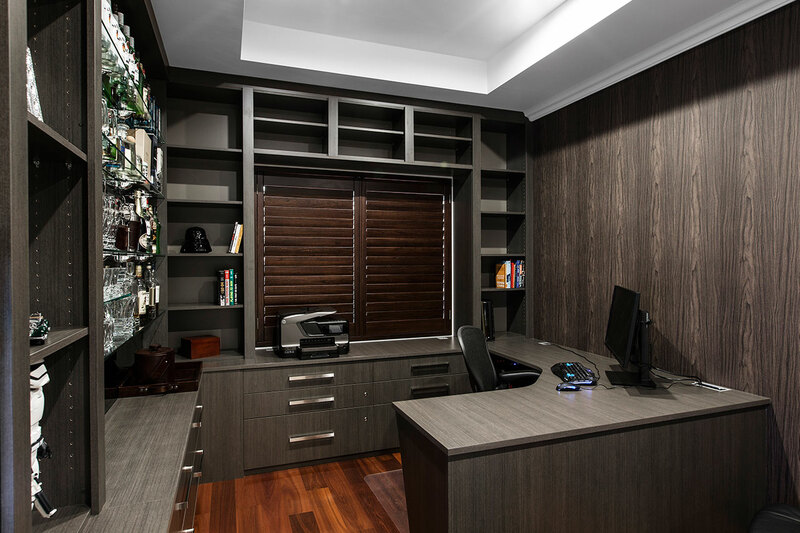 Find out how we can bring your vision to life with a custom office design second to none. Our state-of-the-art 3D design software will help us create your unique work space right in front of your eyes. But it is the experience, services and extensive industry knowledge of our designers that makes a Flexi office a space of beauty and success. More than 50% of our custom is repeat or referral work in Australia. Contact us on (08) 9301 4200 and find out why. By meeting with you in your home or working space we can measure and design on the spot. As you see your vision come to life you can make adjustments and alterations, making the most of the experience and knowledge of our designer. 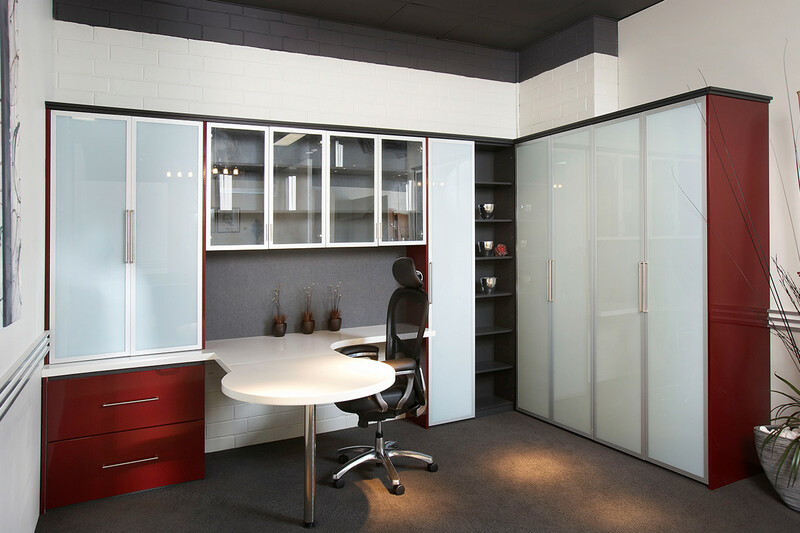 Our designer will suggest combinations and solutions from our Flexi office range that will resolve challenges in unique and practical ways. Change the look of the room or see how a different shape or layout could dramatically impact movement around your work space. 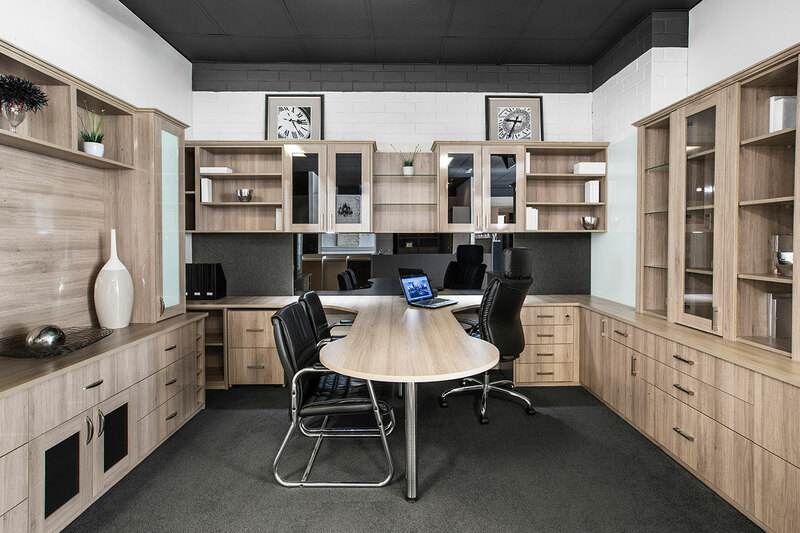 Benefit from our experience in Australia and all that we have learned designing work spaces for discerning Perth customers since the turn of the century. When you love the design we have created, get an immediate, on the spot quote. We understand that our customers are busy people. 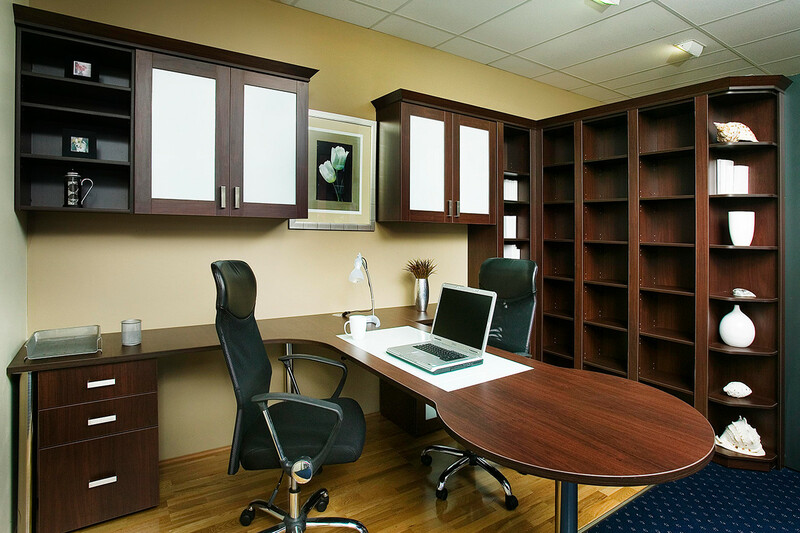 We care about your time and appreciate that your work space can’t wait forever. Speak to one of our industry experienced designers to find out how we can create a custom design that exceeds your expectations and will be delivered on time and on budget. Phone us today on (08) 9301 4200 for more information or to arrange your free design consultation.